Paula’s Choice products are developed by skin care expert Paula Begoun, the author of 20 best-selling books on skin care, makeup, and haircare. The brand, which is famous among skincare enthusiasts, offers cruelty-free skin care products and cosmetics. Are you looking to smoothen out your skin? Or maybe an anti-aging solution? Do you struggle with that difficult combination skin? Do you have dry or oily skin? 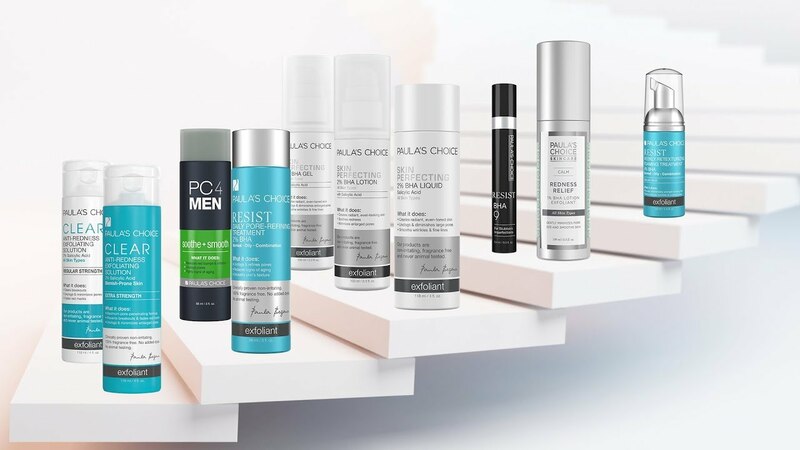 At Paula’s Choice, you can select from collections that include Clear Blemish Control, Clinical, Hydralight, PC4Men, Anti-Aging and more. You can also search their site by skin condition like oily, dry, combination, redness, rosacea and wrinkles. If you’re one of those people who is always looking for a perfect skincare solution, you have to try Paula’s Choice products. There’s a good chance you’ll never turn back. In addition to fantastic cleansers, exfoliants, moisturizers, and sunscreens for every skin type, Paula’s Choice also has all-natural makeup products including eye face and lip, and accessories like brushes. We’re willing to bet that once you try Paula’s Choice, you’ll love Paula’s Choice. 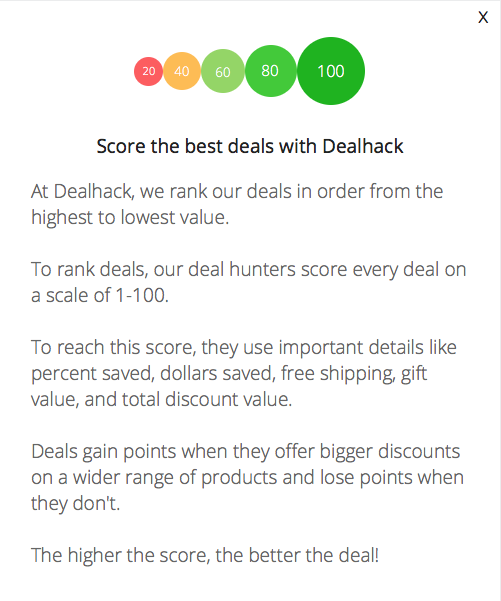 Why pay more when you can find all of the best available Paula’s Choice deals at Dealhack? Whatever your skin type or makeup style, Paula’s Choice will have something for you. Plus, when you use our deals, you’ll score incredible savings on natural skincare products and cosmetics that you can try without spending too much. You can be sure to almost always find a free shipping offer here to help you avoid any additional charges. Are you ready to shop at Paula’s Choice? Browse through our collection of deals and select one of our Paula’s Choice promo codes to start saving today. If you would like to speak to a customer service rep from Paula’s Choice, call 1-800-831-4088, submit a message, or use the live chat option on their website. You can also send them a message on Facebook or tweet them on Twitter. Follow them on Instagram and Pinterest to stay up-to-date on this season’s skincare and makeup trends. Be sure to check today’s daily deal for the best prices you’ll find on quality skincare. Paula’s Choice offers expert advice on creating the perfect skincare routine for your skin. You’ll often find free shipping offers and special limited time sales for Paula’s Choice so be sure to check this page frequently if you don’t want to miss one. Sign up for the Paula’s Choice newsletter and be the first to receive special offers and new product information. To score more savings, you can get $10 off for every time you refer a friend to Paula’s Choice. When their order ships, you will receive a $10 credit, so start sharing! What is Today’s Best Paula's Choice Promo Code? The best Paula's Choice promo code right now is 20OFF1. This code is for '20% off One item and Free Shipping'. Copy it and enter it on the Paula's Choice checkout page to use it. Shipping rates for Paula’s Choice are calculated at checkout. Be sure to check here first as we usually have a free shipping offer when you spend a minimum amount. If you’re not completely happy with your purchase, Paula’s Choice offers a 60-day refund or exchange policy. After the 60 day window, refunds will be issued in the form of store credit. Shipping costs are non-refundable.